After hearing many good compliments about the Fatt Kee Roast Fish at Pudu KL, finally I got a chance to try out their signature roast fish. Not only that, I also had a try on their new jumbo seafood platters! 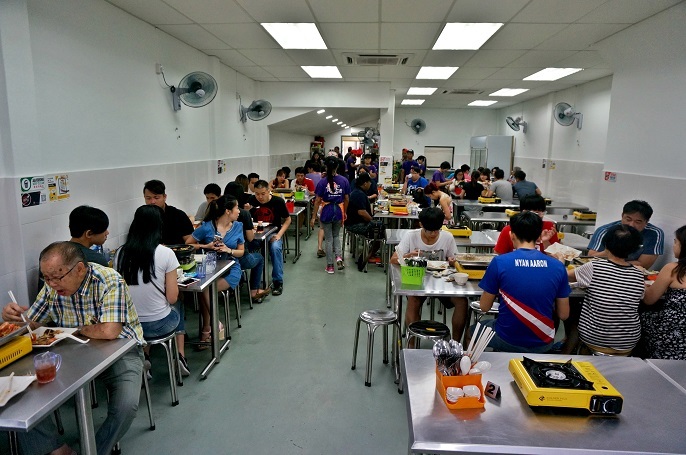 After my first attempt, I think Fatt Kee Roast Fish is a perfect place for all the seafood lovers out there, and I've got a few recommendations for you if you ever eat there before. 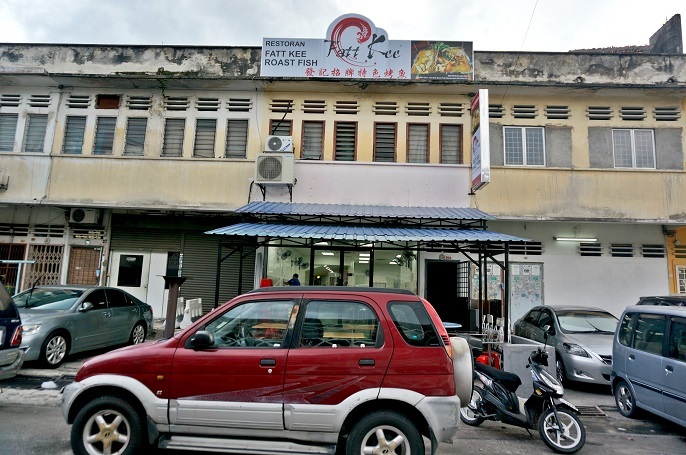 It's easy to get the location of Fatt Kee by using Waze. However, it is difficult to find a parking spot close by. I visited the restaurant 2 times, and I noticed the crowds always start at nearly 6pm. 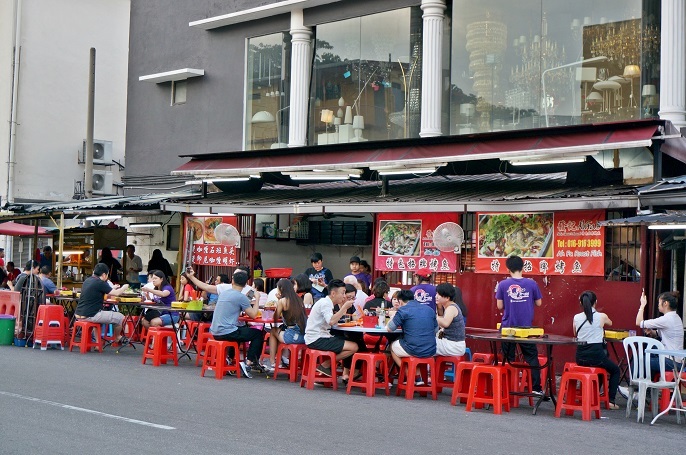 It is even crowded at the roadside stall, which is the first outlet before the air-conditioned shop. The roadside stall located just right outside of the second outlet. Btw, all the red banners are easy for you to recognize the stall. 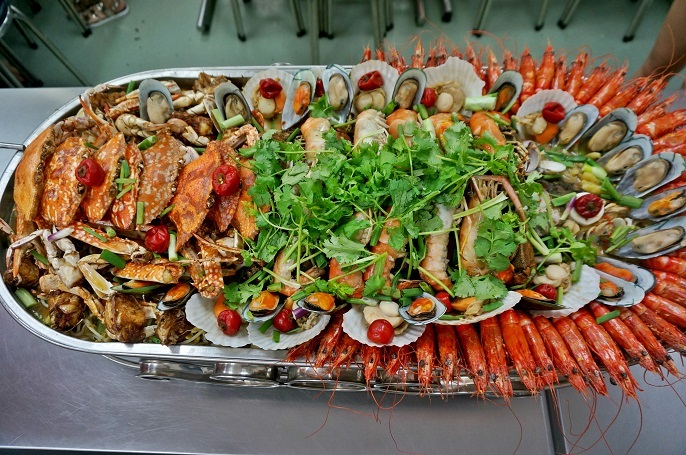 The jumbo signature seafood platter comes in 3 different sizes where allow you to make choices based on the number of guests you have. 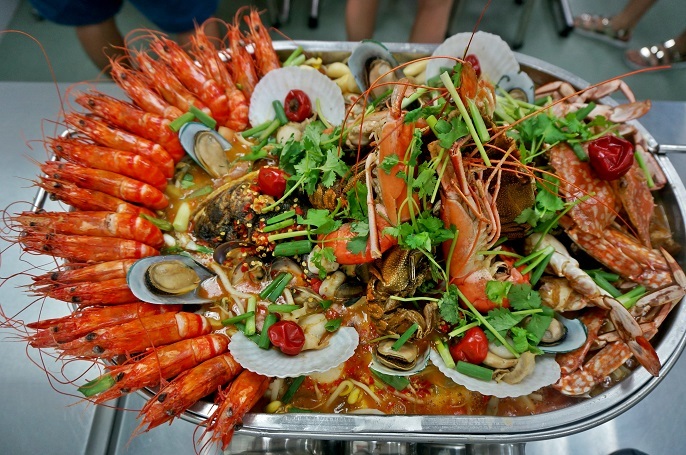 Small Jumbo Seafood Platter is good to serve in between 2 - 6 people. It is RM288 without fish head and RM299 with fish head. 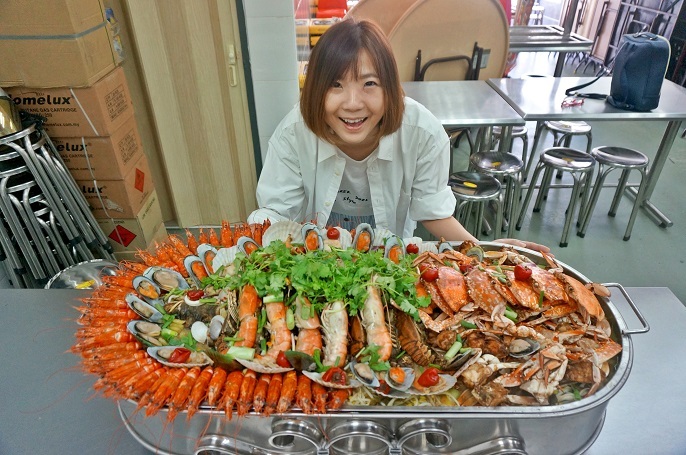 Medium Jumbo Seafood Platter is enough for 6 - 10 people. It is RM488 without fish head and RM499 with fish head. 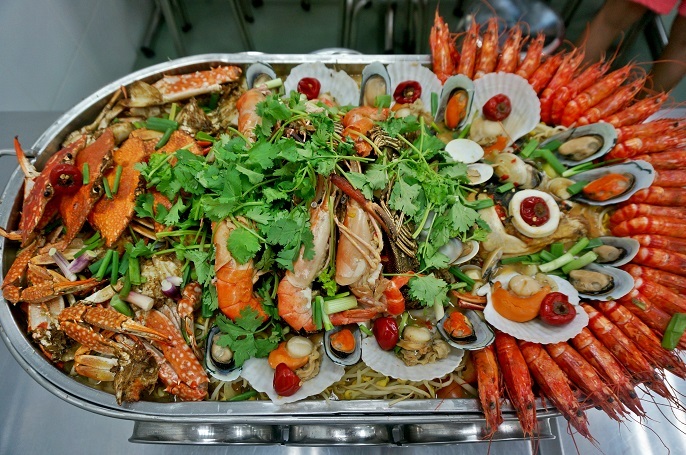 Large Jumbo Seafood Platter is good to order if you have 8 - 10 people. It is RM788 without fish head and RM799 with fish head. 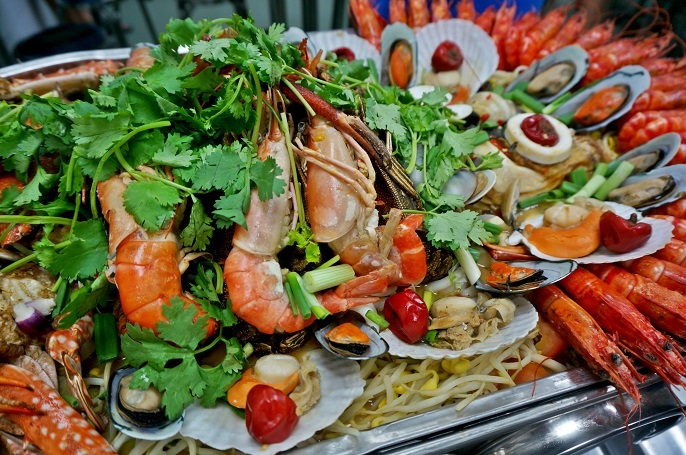 All the jumbo seafood platters come with the same type of seafood, only served with different amount. 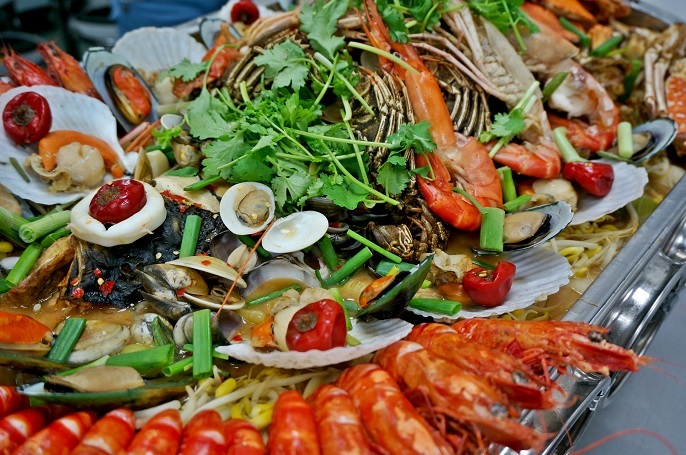 The 8 different seafood include big crabs, tiger shrimps, big head shrimps, mussels, squids, lobsters, clams, scallops, and a lot of bean curds. 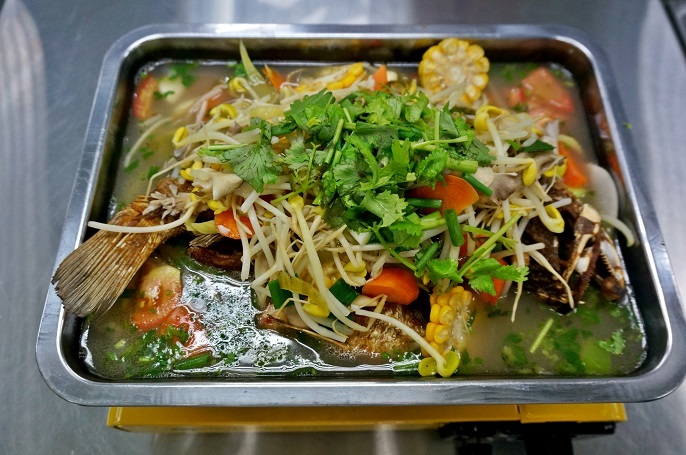 Fish head is all up to your choice for your dinner table, but I personally prefer the fish head because I like to taste the sweetness of the fish in the broth. 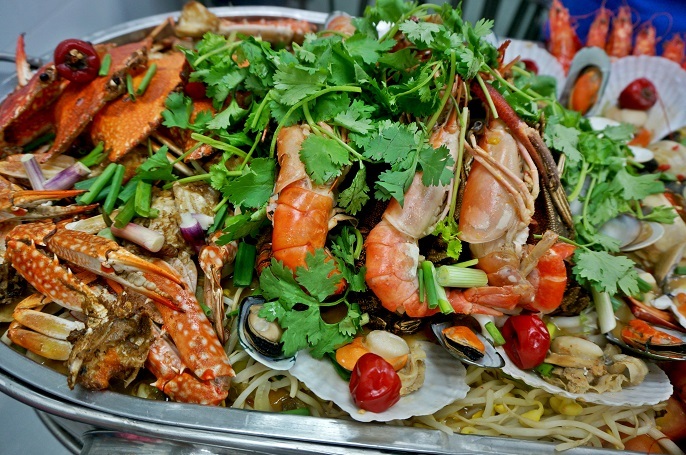 If you think their jumbo seafood is too big for you, you can always go back to their signature seafood dishes. 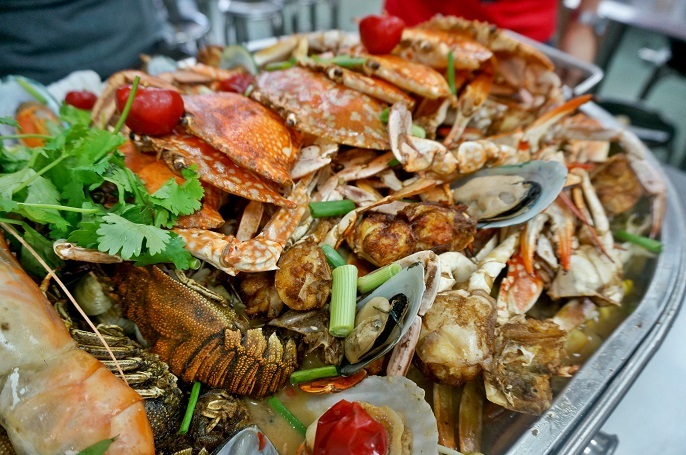 Triple Seafood Option @ RM88 and Triple Seafood Option with Fish @ RM99. 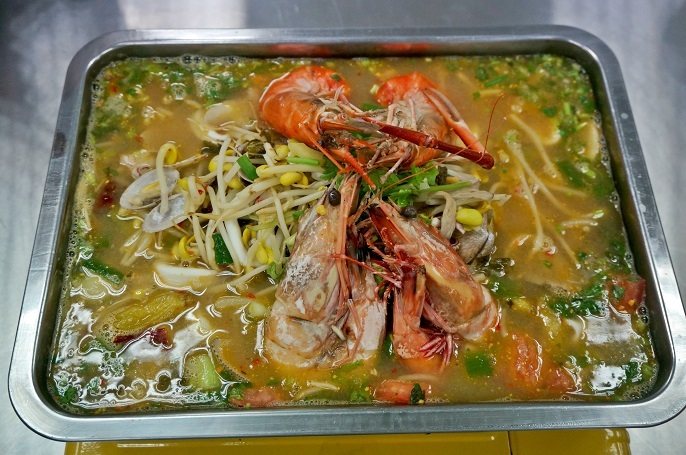 The main three seafood choices include big prawns, lala and squids. 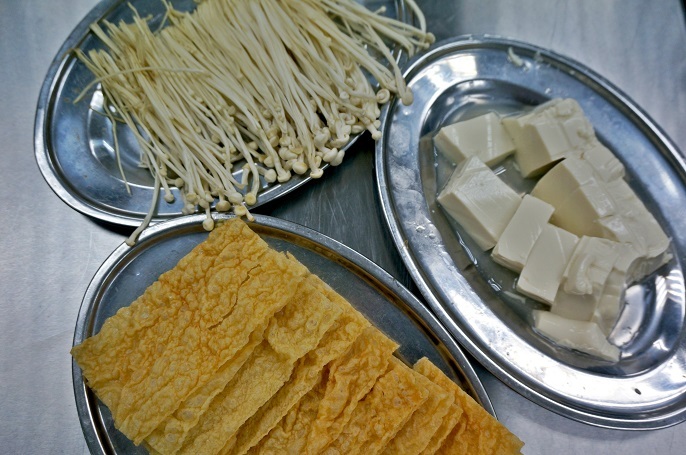 However, if you are looking for extra dishes, you can have the add ons side dishes such as lala @ RM20, squids @ RM20, Enoki mushroom @ RM3 and Tofu @ RM3. 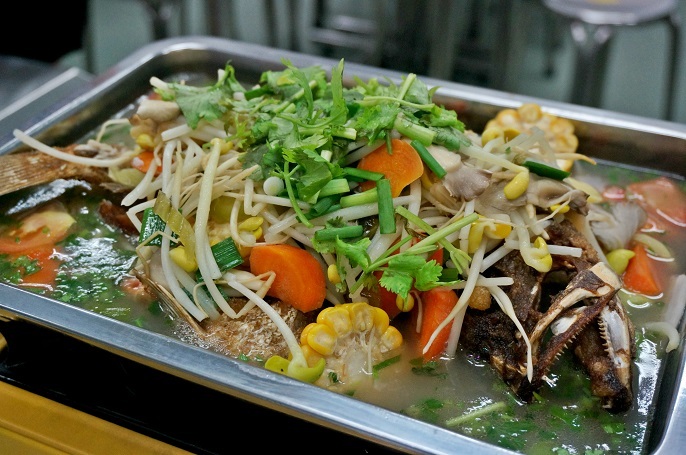 Here's come the signature roast fish platter from Fatt Kee. 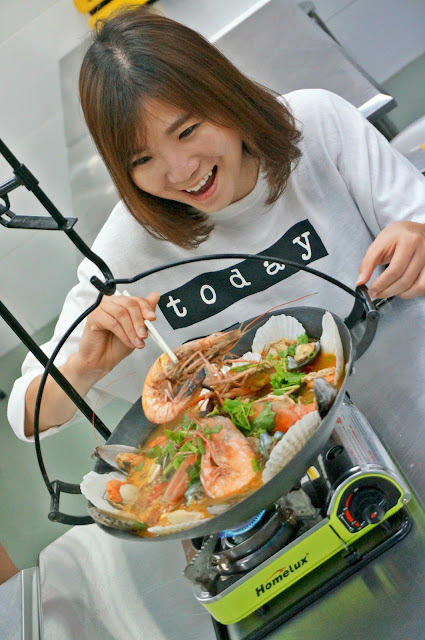 The platter covers not only the main seafood such as prawns, lala and squids, but also choices of special fish like Jin Feng Fish @ RM138, You Pan Fish @ RM148 and Ma Yao Fish @ RM148. 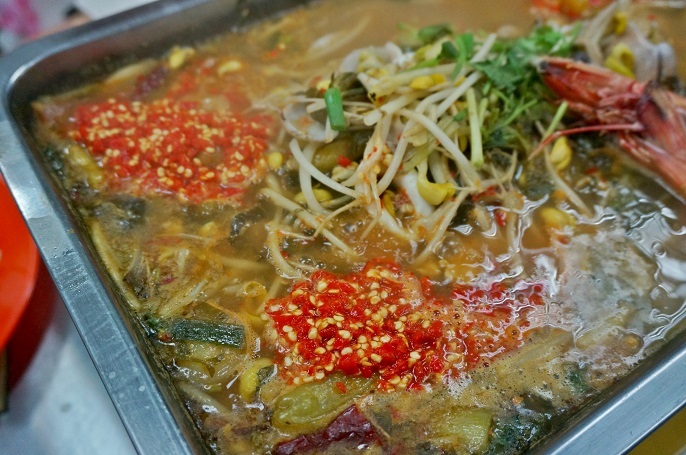 There are different spiciness levels available for the broth, starting from level 1 till level 7. This special red chili is made with different chilies from Malaysia, China, Vietnam and Brazil, so it can be the one and only one chili in Malaysia. I would suggest you to start with level 1, and you can slowly move on to the next level if you can take more spices after the first level. There is no extra charges for adding extra chilies from level 1 till level 4, yet there would be extra charge from level 5 onwards @ RM10. Based on my experience, I can only take up to level 2 as I think level 3 is way tooooooo spicy and when the spicy taste becomes too strong, the dish will taste off. 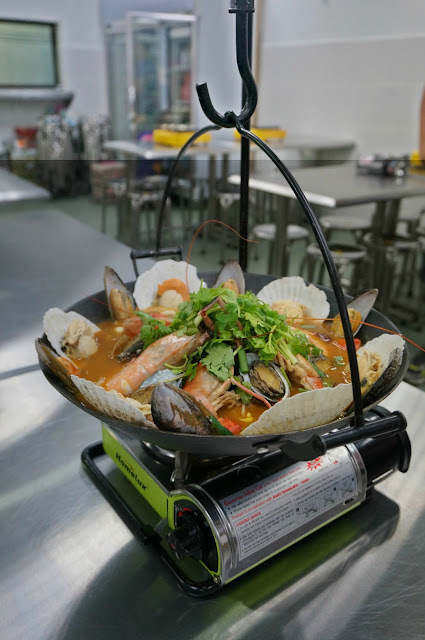 Signature Treasure Wok @ RM188 is truly the best wok with many different fresh seafood such as big prawns, squids, scallops lala, abalones and mussels. 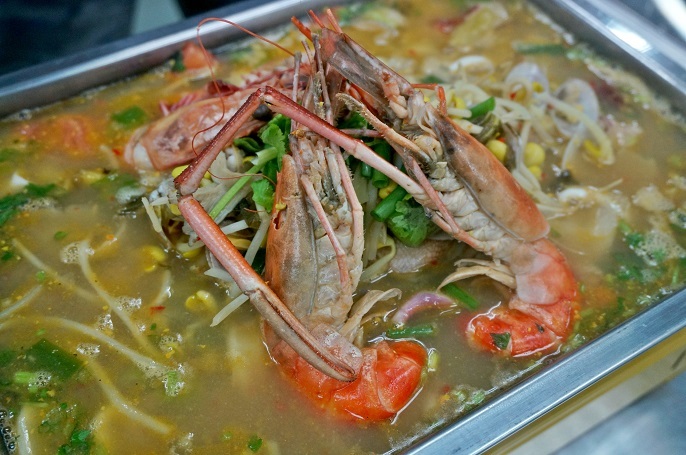 I really enjoy the seafood broth which comes out naturally sweet. 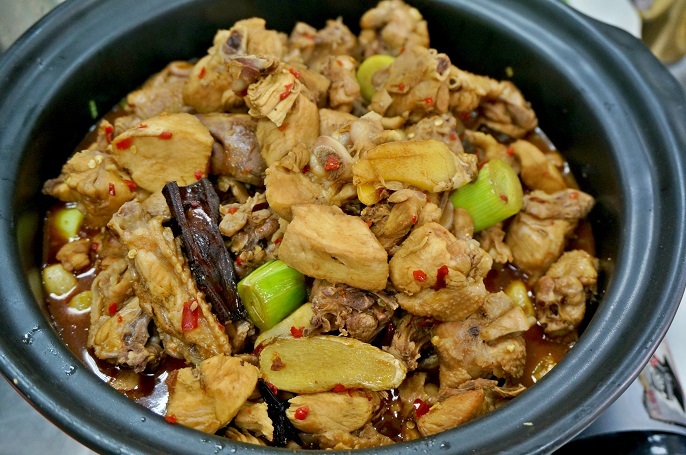 There are also some dishes which is suitable for non-seafood eaters, such as Hotpot Spicy Chicken @ RM48 (small) and RM68 (large). 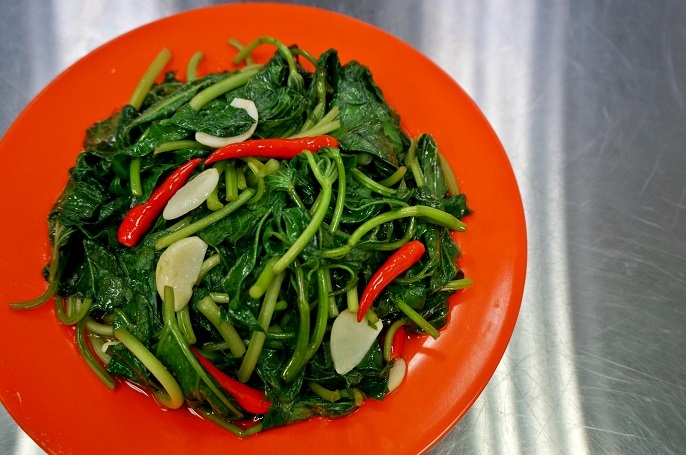 Stir Fried Sweet Potato Leaves with Garlic and Chili Padi @ RM15. I almost can finish the whole plate myself because this is one of my favourite vegetable dish compare to the others. 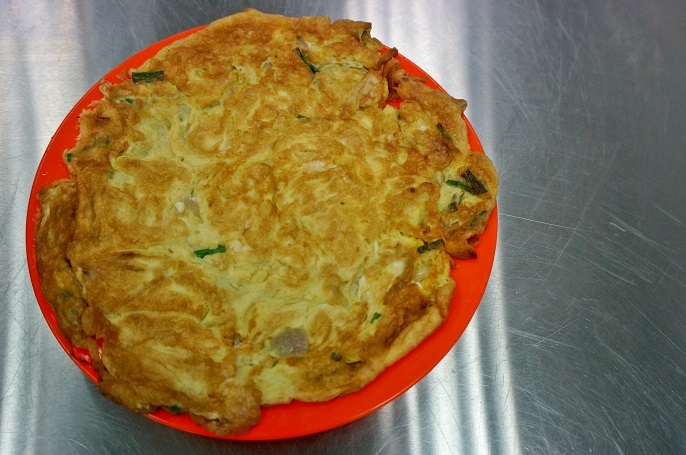 A simple Fried Omlette @ RM10. 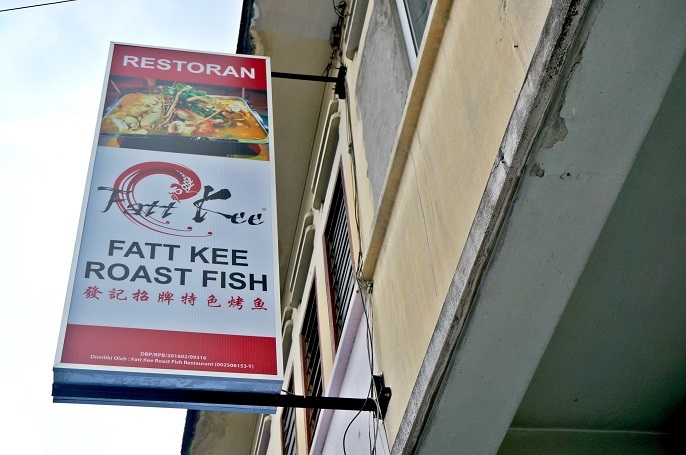 It's definately an interesting dining experience for me at Fatt Kee Roast Fish, especially with their new jumbo seafood platters. As I always very proud to say I am good in taking spicy food, it is obviously a good opportunity to try out my spice-handling abilities too. 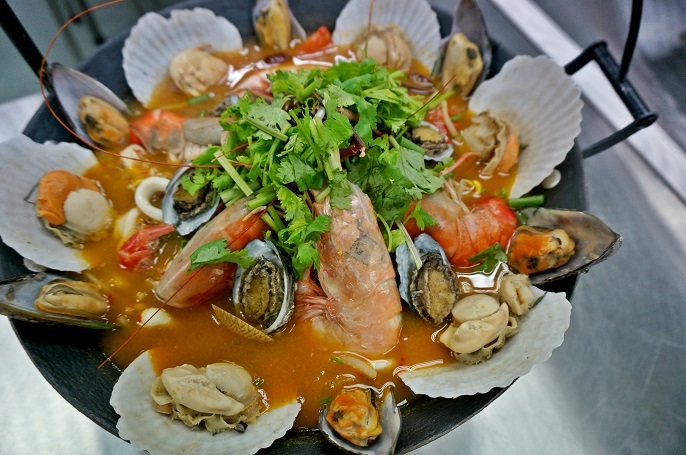 So, do try it once yourself no matter if you are a seafood lovers or a spicy food lovers!